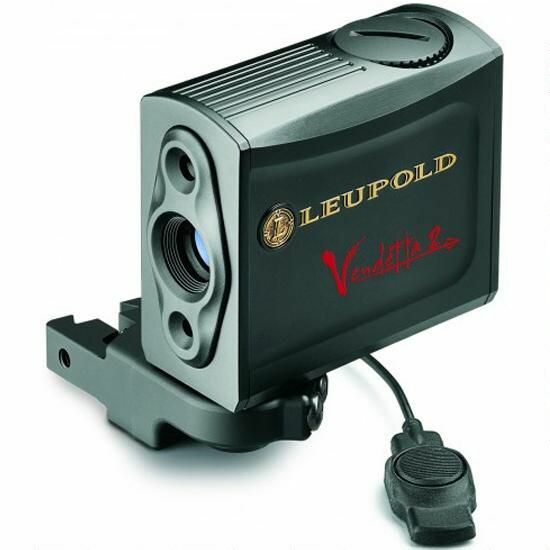 The Leupold Vendetta 2 bow-mounted range finder is the most dramatic innovation in bow hunting since the invention of the compound bow! It will dramatically improve your chance of taking down that big buck and revolutionize the way you hunt. Mounted to any compound or crossbow, the Vendetta 2 gives you an instant and precise digital readout of your angle compensated target range at full draw with no excessive movement and less busted game. Simply push the trigger pad and Vendetta will give you an instant reading. Hold for three seconds and release to get a 40 second scan mode that continually adjusts distance, angles and elevation as your target moves. Weather resistant, you can use the Vendetta in the worst hunting conditions Mother Nature can throw at you. Get a Vendetta 2 and fill your freezer early this bow season!